Châtelaine, a woman who owns or controls a large house (a feminine form of Châtelain). Chatelaine (chain), a set of short chains on a belt worn by women and men for carrying keys, thimble and/or sewing kit, etc. I’ve written about this chatelaine model from Swan previously and I don’t have a lot of general information to add to that (http://wp.me/p17T6K-oN). This example is the best I’ve ever seen. If I used such a term as “mint” (which I don’t) this would be where I would use it. 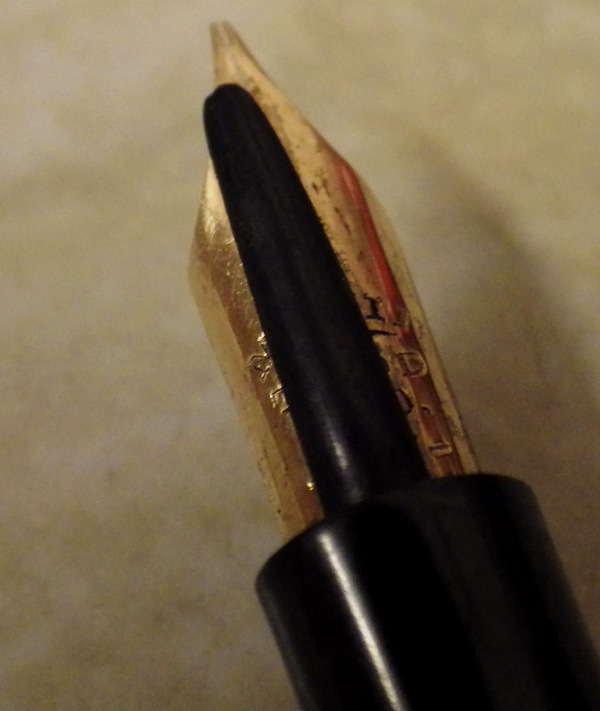 This is a 104-year-old pen in pretty much the condition that it came from the shop. 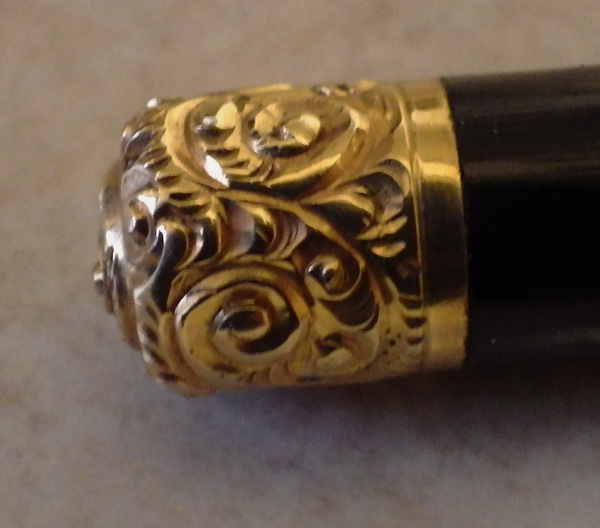 Apart from being very pretty with its rolled gold trim and machine-chasing, this pen is significant also for the secure, bayonet-style closure which, so far as I know, was never picked up by anyone else. Unfortunately C. Haines is just too common a name for me even to speculate about the identity of the pen’s first owner. Suffice it to say that she was a very fortunate lady, doubtless from a wealthy background – a true chatelaine! So there it is. Enough said. I’ll let the pictures speak for themselves.